The intent of this essay is to try to ‘say God’ in an innovative modality for the philosophical thought. Firstly, the general features of a philosophical Christology are outlined, which is shown can be based on the spontaneous interaction between the Christological datum (Christ-Logos, the demiurgical mediator of all things) and the transcendental datum (the ‘as’, analogical mediator of any speakable and thinkable thing). Secondly, the consideration of Karl Barth’s theological meditation on Nothingness takes place in order to enrich, in the last moment, the interlocution with the religious myth hermeneutics proposed by Luigi Pareyson who, at the center of God’s speakableness and thinkableness puts the figure of the suffering Christ, envisaging a tragic christology as a task for the future thought. Professional psychology achieved great and sudden exposure in Western societies. This situation left little room for a careful reflection concerning the discipline and its methods. This resulted in a state of poor theoretical development which could be detrimental to the transformative power of the discipline, leaving important philosophical problems unsolved. The paper addresses some primary philosophical issues concerning psychology as a practical discipline; in addition, the outcomes of an exploratory study of reports produced by a sample of psychologists are presented. The study adopts a bottom-up approach, where data provided by practitioners are potentially useful for theoretical reflection on the status of psychology as it is practiced. Two dimensions emerged: one concerning different conceptions dealing with psychology’s users, the other concerning different assumptions about the disciplinary status of psychology. Empirical outcomes are compared to the philosophical analysis and relevant implications for the status of psychology as a practical discipline are discussed. One of the most common dichotomies in psychology is that of consciousness and unconsciousness. Various theoretical proposals dealing with this dichotomy are available and this diversity reflects a certain elusiveness of these concepts. Such a situation turns out to be problematic, in that critical analyses of this dichotomy rarely progress towards a specific theory or position but, instead, refer to a wide class of theories which in essence deal to the dichotomy in the same manner. In order to avoid this problem, this paper addresses Bargh’s and Kahneman’s proposals on the conscious-unconsciousness distinction and their relations. On the basis of such an analysis, our aim is to assess how conscious processes are influential in explaining human behaviour, despite the emphasis placed on the unconscious dimension. This paper proposes to closely examine consciousness and subjectivity, in that they are fundamental dimensions for explaining the unitary nature of human behaviour. In the Pareysonian hermeneutic thought emerges a notion of truth to which no subject can claim to be exclusively and absolutely related. Truth appears to be an inexhaustible and infinite reality. Access to truth always takes place through a personal interpretative process, because «there is no interpretation but of the truth and there is no truth but of interpretation». For this reason, Pareyson’s ontological-revealing thinking can be a precious theoretical model that allows us to understand how a metacultural and a-temporal reality can be embodied in historically determined forms, concretely and authentically displaying itself in different religious traditions. These traditions can be considered finite modalities by which a transcendent and inexhaustible reality reveals its essence in always new, different and non-definitive forms. In this perspective, religions can be seen as special paths leading to the unique truth, of which every religious tradition is a historically relative and original formulation. This essay will examine Phenomenology of Perception by Merleau-Ponty, with the intent of pointing out the idea of perception as act. This concept implies that the subject is described as recovery of the act, explained by the author through the genetic phenomenological method. This article outlines some fundamental problems regarding the construction of a transcendental ontology. For this purpose, I examine the relation between life and concept, comparing Fichte’s Zweiter Vortrag of the Wissenschaftslehre (1804) and some articulations of Deleuze’s thought. The relationship between consciousness and thought emerges as relevant: in this relationship, epistemological reflection opens up to an ontological-dialectical foundation, in which the alternative between immanence and transcendence plays a central role. The article aims to expose a possible positive development of Heidegger’s metaphysical thought, grafted in the middle of his own fundamental ontological reflection of the years ’20 and ‘30. This development, already announced by Heidegger in ’28 under the name of metaontology and defined as the essential counterpart of the fundamental ontology, seems to be a possibility completely open, although not explicitly brought forward by Heidegger, to deepen and determine in original practical terms the research on the sense of man as Dasein, its place in a oriented totality as world and its essential relationship with a foundation as an orientation in view of. Aristotle’s theory of language is studied with regard to the possibility of saying what does not exist, either because one can express falsity, or because one can truthfully speak of nonexistent. According to Aristotle, symbol and sign are not the same: the symbol is a kind of sign, an articulated linguistic sign. Convention is, in a formal sense, the relation of significance from the meaning to the sign, in a material sense, it is the result of the agreement between our experience of the world and the world itself. The relationship that links thought to things cannot be similarity, because if the object is not there, thought cannot look like anything, it should rather be a relation of representation. Πράγματα include entities, but do not exclude non-entities. Taking the example of τραγέλαφος, it may be argued that μὴ ὄντα are both extra-mental and different from absolute nothing. A consistent number of schools of thought enliven the philosophical debate on how we can manage the truth-values of the propositions about the future. In the first part of this paper we will draw an overall view of the discussion: we will propose a historical reconstruction of the arguments – from Aristotle and Diodoro Crono to Prior – that will give us the instruments to understand the current state of the debate. After that, in the second part, we will argue that the discussion between the theory of the true future and the Prior’s ockhamist theory is not based on two different concepts of contingency, but instead on the lack of distinction between two differents meanings of ‘determined’ inside the ockhamist system. Recovering this distinction is the first step to understand that the real competition between the two systems is not about contigency, but only about the determination of the future. The theme of responsibility runs several times among the works of Nietzsche, from Human, all too Human (1878) until The Twilight of the Idols (1889). It is often little more than a lightning-fast hint, other times it has a bit more structured tone. The fact is that, through his aphoristic style and the forge of his vehement polemics, Nietzsche seems to relish the importance that this concept had, and still has, for the world of the human. If his proposals appear on the one hand to kill the responsibility and on the other to restrict it to a chosen few, his demolitions of various forms of responsibility, suggest us what are the necessary ways that need to be abandoned. By destroying responsibility, Nietzsche offers us a counter-phenomenology of the false idols with which humanity has meant this word so far, suggesting between the lines some of its possible redemptions. This paper is focused on the semantic richness of the notion of epieikeia, and shows how it assumes an absolute centrality in the Aristotelian texts, both in terms of contents and of methodological approach. The notion of equity, in fact, besides being intersected in many ways with the different weaves of the justice, constitutes a productive theoretical figure, embodying, by means of the powerful model of the ‘lead’s ruler’, the ideal of an appropriate and accurate method according to its object of inquiry. By crossing the Aristotelian text, it is also possible to show that the figure of equity and of the equitable has got characteristics such as ‘capacity of finding what is appropriate’, ‘flexibility’, ‘availability to lose’, ‘capacity of understanding’, that characterize the notion of equity since its origin, trying to recover, as far as possible, the profiles of that ‘passionate justice’ or ‘with a human face’ that is the epieikeia. The main focus of this paper is to pinpoint and discuss some Platonic influences in Seneca’s Consolatio ad Helviam matrem. 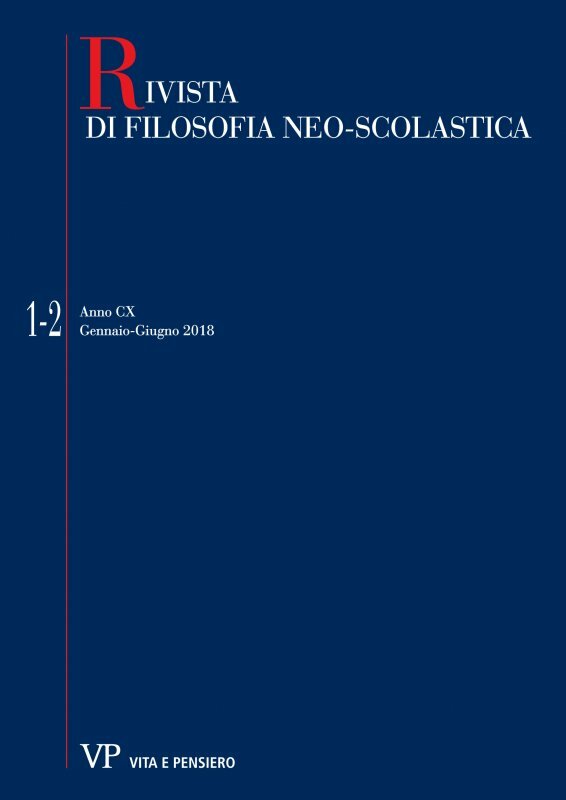 The aim is to highlight in this work, and in the comparison with other Senecan writings, the terms in which the agreement between Platonism and Stoicism is carried out. By looking at the cultural Roman milieu, the paper, whose emphasis is philosophical as well as philological, analyses Seneca’s allegiance to Stoicism but also tries to find and stress the Platonic elements – which seem to be close to those demonstrated by some Middle Platonists – and the importance of these for the development of his thought and originality of his philosophy. Celsus presents several objections against the historicity of the resurrection of Jesus and his post-mortem apparitions. He dubbes these apparitions phantasiai, therefore Origen asserts him to be epicurean and not platonic, as, instead, he claims to be. To prove his allegations, Celsus uses of the concept of enargeia. This criterion represented an essential requirement in order to make the acceptance of an event reasonable. The aim of this paper is to analyse the opinions of Plato and Epicurus regarding the philosophical value of the concept of enargeia, in order to better contextualise and justify the criticism of Epicureanism against Celsus. The aim of this paper is to show how Augustine, Boethius and Gregory the Great are united by a common anthropological reflexion (resulting also from their existential experiences): the man wants to know the truth but a widely knowledge of truth is impossible for him. Starting from this tragical awareness of the human condition, the philosophy offers (with the liberal arts, for example) the possibility to know the regulae with wich God created the world; that’s why the man can find in the philosophy a consolatio, because the knowledge of the world’s regulae allows a partial intuition of God, founder of the order. Within the resumption of the quaestio de uniuersalibus in France between the end of the eleventh century and the first half of the twelfth century, it is detectable the use of the notion of status by various masters for sensitivity and philosophical inclinations. From the awareness of semantic consistency of this term in the different contexts in which it is used they are obtained affinities and convergences between philosophers commonly placed by scholars on distant and even opposing positions. After you redefine the formations, the conceptions of universals as status or names that signify status, occupy an intermediate ‘area’ among those traditionally assigned to participants in the controversy. And the justification of such intermediate position is linked to the need to follow the method and the concrete practices of the science, that is, to facilitate the production of a knowledge rigorous, as necessary, and rational, just as universal, on being of things. In Section I, book IX of his Almagestum novum (1651), Giovanni Battista Riccioli (1598-1691) investigates the nature of the astronomical heavens. He asks whether the heavens are made of one kind of matter or of several. He argues that the planets move in a fluid medium but that the eighth and last sphere is made of frozen water. Comets disclose the corruptibility in the heavens which, on the whole, are incorruptible. How is this possible? Riccioli believes that the solution lies in considering the heavens as ab intrinseco corruptibiles, and ab extrinseco incorruptibiles. In the next Section of book IX, Riccioli examines the cause of heavenly motion, and he argues, in interesting detail, that the most likely hypothesis is that celestial bodies are moved by angels, whose agency we shall never completely understand. Dove vanno oggi gli studi su Vincenzo Gioberti? The fortune of the Vincenzo Gioberti’s thought was alternating. Exalted for his encouragement positions with national aspirations of the Italians, he was then regarded with suspicion in the Church for his philosophical positions accused of pantheism, and finally he was ‘forgotten’ after the Italian Unity. ‘Rediscovered’ thanks to Gentile’s studies, he was considered one of the greatest Italian thinkers of the nineteenth century. He then met again oblivion, and, in recent years, he was made again the object of interesting studies (Mustè and Cuozzo). The essay presents three works that, for various reasons, ‘revalue’ the Giobertian philosophy. The edition of the deeds of the trial held in front of the Congregations of the Index and of the (Holy) Inquisition was edited by Luciano Malusa and Paolo De Lucia, with several collaborations of scholars for the edition of the ‘censorship’ presented. De Lucia then dedicated to Gioberti an important monograph in which he argues that the Revelation is fundamental part of the philosophical approach to the relationship history-transcendence; Alessio Leggiero, having participated in the edition of the deeds of the condemnation, explored the theme of ‘misunderstandings’ that the Giobertian thought suffered during the life of the philosopher, in view of the trial and after death. This essay has a twofold purpose. On one side, it aims at achieving a complete view on the genealogic perspective Nietzsche adopts for his own philosophy. On the other, it tries enlightening the theoretic questions implied by late nineteenth century’s positivism and mechanism in the sciences epistemological foundations’ crisis context, physics in particular. Finally, my attempt is to show how these specific epistemological issues naturally drift to the décadence reasoning and to the nihilism proper to Nietzsche. The article analyses Hermann Cohen’s reading of Spinoza’s Tractatus Theologico-Politicus presented in the work Spinoza über Staat und Religion, Judentum und Christentum, 1915, and Leo Strauss’ answer of 1924: Cohens Analyse der Bibelwissenschaft Spinozas. Strauss aims to show the strong connections between Spinoza’s thought and the Jewish tradition. On the one hand, Spinoza’s work is bound to the Marrano environment of his time, while on the other hand, it restores the tradition of Maimonides’ esoteric scripture. Spinoza’s biblical and religious criticism establishes a fundamental step in the development of liberal Judaism. D. Carr - J. Arthur - K. Kristiansson (eds. ), Varieties of Virtue Ethics (A. Campodonico) - S. Galvan, Logica (A. Ventura) - F.W.J. von Schelling, Sui principi sommi – Filosofia della rivelazione 1841/42 (G. Alberti).